A new book that covers how you can make small incremental changes over time that lead to large results. Atomic means small, as in atoms. I have followed James’s Blog (link below) for a number of years and this book covers topics from the blog plus new material. His back story is interesting and inspiring. It is a practical book and he provides ideas to increase your good habits and reduce your bad habits – useful strategies to do both are included. Habits are automatic and many times unconscious, so the more automated and intentional you make your habits the more time you have for other important things. You may need to read it a couple of times to get the most out of all his suggestions. The book explains many visualisation concepts and backs it up with step by step examples of improving charts. The before and after charts speak for themselves. The book also places emphasis on identifying the message you are seeking to convey to the reader of your chart and making sure you are using the best chart to get that message across. With dashboards being the buzz at the moment learning how to best display your information is a good skill to have. This quote was used in the book and encapsulates many of the recommendations. Highly recommend this book. It is a different mindset and will take a while to implement and incorporate. I read this book with Deep Work by Cal Newport they compliment each other. A good book to encourage and motivate you to focus more. Social media and the internet are designed to keep your eyeballs on the screen. This doesn’t get the worthwhile work done. Moderation is tough in anything and with the dice loaded against you its hard to limit time on the net. Some good suggestions and ideas to help you get more great work done. I read this book with Essentialism by Greg McKeown. they compliment each other. Another great book from Tim Ferriss. This has lots of short advice about life from successful people from all walks of life. Its a smorgasbord – you can open it randomly and learn something new. 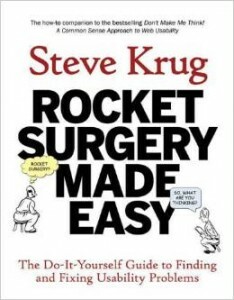 It follows on from his podcast and the Tools of Titans – another great book. Many of his podcast questions are answered by people who haven’t been on the podcast. Disclaimer: I received a free copy of this book to review. This book is a great introduction to Financial Modeling. The content is easy to follow and gets you started on the right foot with lots of best practice advice. The only downside of the book is the screen shots tend to include the whole screen rather than zoom in on the important part of the screen – many images are hard to read. 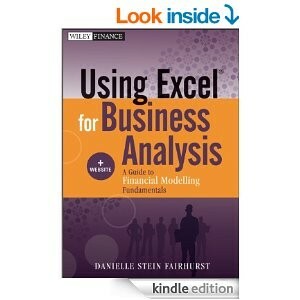 The book is a great primer for Danielle’s first book which allows you to learn even more about financial modeling. It will get you thinking about how we have progressed and whether it has been progress or regress. Have the lives of sapiens improved over the thousands of years? What about the planet and the other animals on the planet, (the ones we haven’t killed off any way) are they better off? It has lots of great ideas, concepts, tricks and tips. Highly recommend. Tim is famous for the 4 hour work week book, but more recently his podcasts have become legendary. The book is based on the people Tim has interviewed and had on the Podcast (not all the podcasts are interviews). I am a big fan of the podcast and the book delivers. Great to have so much information in one book. In the introduction Tim says to skip stuff that doesn’t interest you. I have skipped over a lot of the “supplement” chapters as it isn’t my thing. But there are still lot of gems in this book no matter what your stage in life. The kindle version has lots of internal links within the book. Definitely worth your money, time and effort. A short book with short chapters meant to get you thinking differently about work. Much of what the book covers goes against the “common” advice out there. It gets you thinking (sometimes differently) and that’s one thing a good book is all about. David Heinemeir Hansson has recently been featured on two Tim Ferris podcasts – two excellent episodes. Narrated by the author – a TV anchor from the US. Interesting perspectives. Takes a bit to get going as he goes through his back story. Some parts are a bit long winded, but over all, worth a listen. Meditation is the answer to the question, how can I be 10% happier? This is the first fiction book I have included on my website. Whilst Science Fiction, the story is based on accurate scientific knowledge. The author self-published and was “discovered” after the book went viral. This is one of the best audio books I have ever listened to. The story was terrific, lots of high and lows and great humor. Highly recommend, even if you don’t normally read Sci-Fi. Great book that extends the previous research and looks at what is needed to thrive in a constantly changing world. Examples from different areas of life are used as well as business examples. Some interesting insights – some are counter intuitive. Highly recommend. I listened to the audio book.